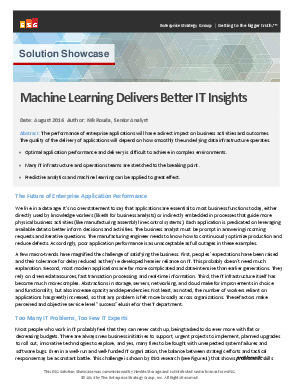 Learn how predictive analytics and machine learning can help optimize application performance and meet the needs of the business with Nimble Storage Infosight. • Optimal application performance and delivery is difficult to achieve in complex environments. • Many IT infrastructure and operations teams are stretched to the breaking point. • Predictive analytics and machine learning can be applied to great effect.